Brent futures for November were little changed after breaching $78 last week for the first time since July 11. Iran shipped just under 2.1 million barrels a day of crude and condensates in August, the lowest since March 2016, ship-tracking data compiled by Bloomberg show. Meanwhile, Russia kept pumping oil near post-Soviet records last month, and Saudis boosted output to more than 10.42 million barrels a day. 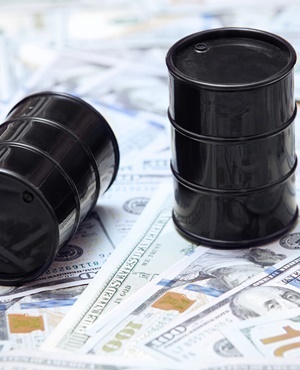 The global benchmark crude added 4.3% last month as supply concerns intensify before renewed American sanctions aimed at curbing Iranian export take effect in early November. Meanwhile, the US oil marker is lagging Brent as American producers pump a record 11 million barrels a day, deepening its discount against the London counterpart by the most since June 20. “Oil’s rising because various reports have indicated Iranian exports fell at a faster pace than expected,” Mikiko Tate, a senior analyst at Sumitomo Corporation Global Research, said by phone from Tokyo. Brent futures for November settlement traded at $77.69 a barrel on the ICE Futures Europe exchange, up 5 cents, at 3:55 pm in Tokyo. The contract traded at an $8.37 premium to West Texas Intermediate for the same month. The October contract expired Friday after closing at $77.42 a barrel, down 0.5%. WTI for October delivery fell 8 cents to $69.72 a barrel on the New York Mercantile Exchange. The contract gained 1.6% last week. Total volume traded was about 44% below the 100-day average. In Saudi Arabia, two delegates from the Organization of Petroleum Exporting Countries said the kingdom pumped nearly 140 000 barrels more in August from a month earlier, while Russia, the main beneficiary from its deal with OPEC to unfetter output, extracted an average of 11.21 million barrels a day, according to data from the Russian Energy Ministry’s CDU-TEK unit. • Money managers raised bets on rising Brent prices by the most since 2016 after three weeks of cuts. • Working oil rigs in the US rose by 2 to 862 last week, according to data released on Friday from Baker Hughes. A weak tropical storm that could develop in the Gulf of Mexico this week probably won’t threaten offshore oil and natural gas operations, said Rob Miller, a meteorologist with AccuWeather in State College, Pennsylvania. • President Donald Trump may impose tariffs on $200bn in Chinese imports as soon as this week after low-level trade talks between the world’s two biggest economies failed to make progress last month. December futures in Shanghai dropped 0.7% to 520.2 yuan a barrel, after adding 0.2% on Friday.